Gagosian has two outstanding shows on at the moment. Picasso: Mosqueteros, a musuem quality presentation of Picasso paintings from the late years of 1963 – 1973. Yayoi Kusama, massive abstracted paintings of vibrant coloured tiny loops contrast with the installation Aftermath of Obliteration of Eternity. 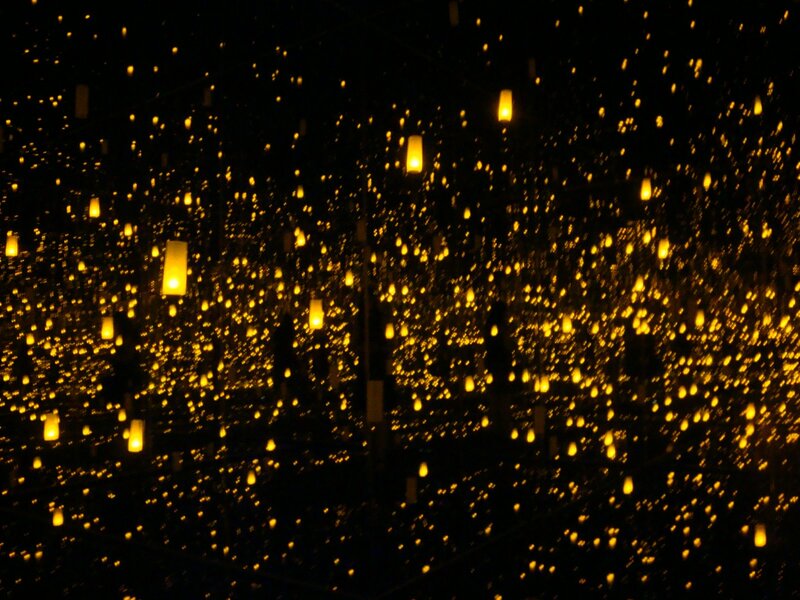 Also called the Infinity Room, Kusama plays with relation of the viewer within these engaging optical environments.